SAN DIEGO, Calif., Feb. 16, 2015 — Controversy flared last summer when the U.S. Preventative Services Task Force (USPSTF) released a draft recommendation citing a lack of evidence for continuing the practice of universal early childhood autism screening. The debate reignited today with the publication of the USPSTF investigators’ final statement in the Journal of the American Medical Association (JAMA) reiterating their finding that there is insufficient evidence on the “balance of benefits and harms” associated with screening and calling for more research. Dr. Stephen Edelson, Executive Director of the Autism Research Institute, voiced concerns with the findings, urging professionals to continue screening. “A recent review written by numerous well-respected scientists in the autism field and published in the American Academy of Pediatrics (AAP) science journal, Pediatrics, clearly supports the importance of early screening for autism,” Edelson said. Edelson was referring to Autism Spectrum Disorder: Recommendations for Practice and Research which appeared in last October’s online supplement to Pediatrics, describing the work of a team of expert panelists who completed a systematic review of the medical literature and developed consensus statements focused on three areas: the early identification of ASD, early screening, and early interventions and outcomes. Edelson says the findings lend credence to objections raised last summer in response to the USPSTF recommendation. The AAP also issued a statement today continuing to recommend universal autism screening at age 18 and 24 months. “The USPSTF conclusion that the value of universal screening for autism is as of yet unproven is more aligned with those who focus on cutting insurance costs than identifying those children who are in urgent need of appropriate, evidence-based healthcare. A delay in diagnosis will certainly impact the quality of their lives throughout childhood and adulthood,” Edelson said. According to the Centers for Disease Control, in 2016, ASD affects approximately 1 in 68 children in the U.S. 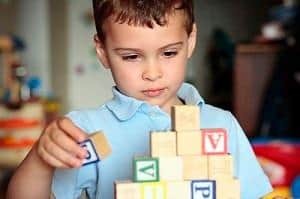 The Modified Checklist for Autism in Toddlers — a scientifically validated tool for detecting ASD in children ages 16- to 30-months endorsed by the AAP — is believed to be the most commonly used screening tool; other tools described in the report show promise for detecting symptoms as early as the first year. “Although all screening tools for autism have some limitations, the evidence nevertheless supports the usefulness of screening, notwithstanding the need for further research. Early identification can have multiple benefits for the child and for the family,” said Marvin Natowicz, M.D., Ph.D. — a clinical geneticist and pathologist at the Cleveland Clinic who participated in the panel that generated the October Pediatrics report.